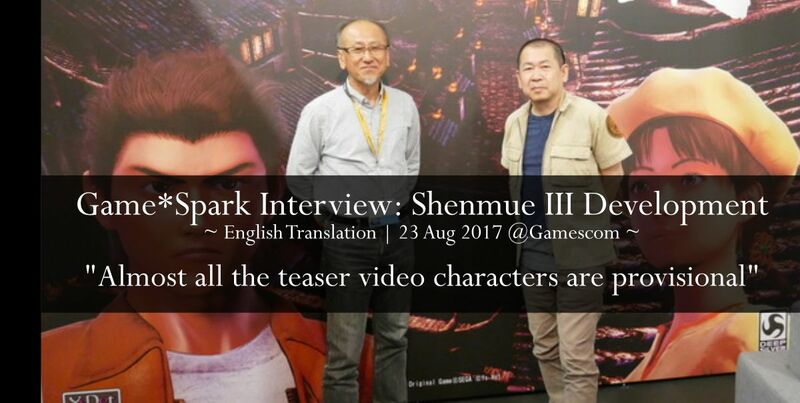 This is a full translation of an interview that was held with Yu Suzuki and Hideaki Morishita (Shenmue III's executive producer) by Game*Spark at Gamescom. 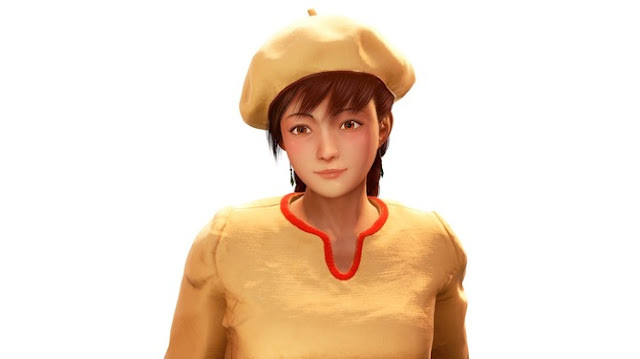 Q: What shape is the current development status of Shenmue 3 in? YS: The other day we announced a change to the release date, but at that point talks of a publishing contract with Deep Silver were already advanced. Working with Deep Silver also means increased stability on the budget front, and since I had been thinking in a scalable manner from the start, we have been able to set our sights a bit higher. Since that brings with it a corresponding increase in things we need to do, I extended the deadline a little. With this new upward revision to the original plans, the number of developers has also grown slightly. Currently, we are in full production mode. Q: In that case, I don't suppose you could say roughly what percentage overall has been completed? YS: I can't really comment when it comes to numbers. HM: Also, it's hard to convert into a number. There can be parts that are progressing and others that aren't, making it difficult to say. 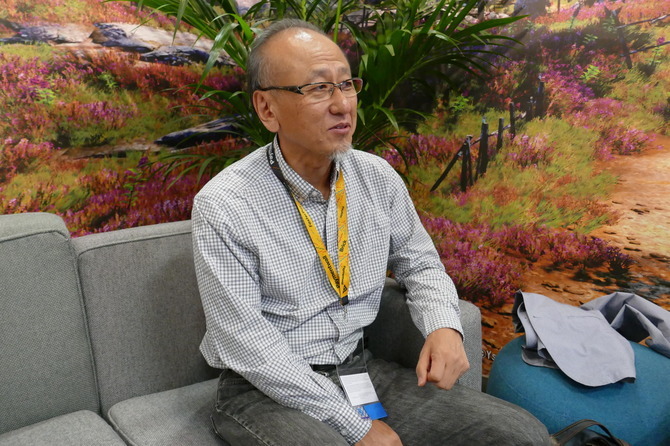 Shenmue 3's executive producer, Hideaki Morishita. Q: I see. With respect to the development, are there any parts you're finding hard? YS: When I was at SEGA, there were employees who were used to working together. This time, the budget is smaller than when I was at SEGA and the staff I'm working with are people that I have hand-picked one at a time through interviews, so the personnel aspect is pretty tough. I can't just devote my time entirely to development, so the difficult part is getting it done while incorporating management. HM: There are also things like tuning the game engine. YS: Right. In order to use the game engine properly, it has to be maintained. In addition, to make it feel like Shenmue, we have to write a lot of shaders and so on. Q: Quite a while has passed since Shenmue 2. 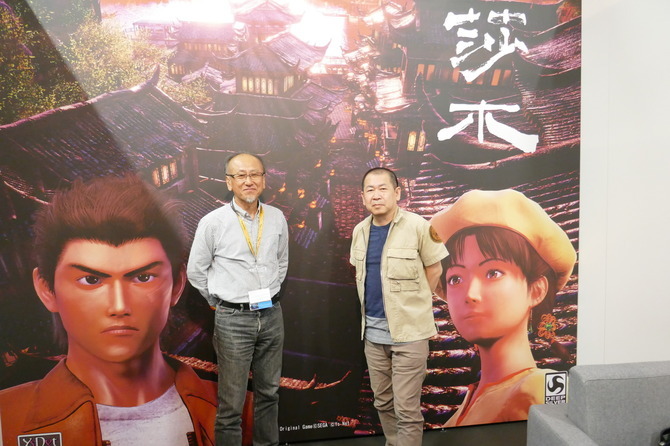 Will there be anything that changes with Shenmue 3? YS: The biggest change has to be that the game engine has changed. We're using an engine called UE4 [Unreal Engine 4]. Back in our days, the idea of a game engine didn't exist. 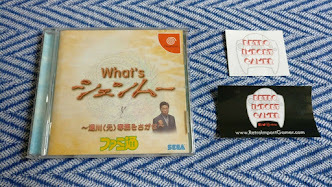 We wrote our own game libraries and so on [at the time of Shenmue 2], so everything was hand-made. This time, we have to use a method of creation that fits in with the game engine. Some aspects are very UE4-specific, so it's necessary to work with people who are UE4 experts things for it to go smoothly. Q: I see. By the way, having the numbering as "Shenmue 3" may make players who haven't played the first games in the series feel a bit hesitant. Do you have any plan to reduce their resistance in that respect? Q: Do you plan to provide any kind of support for them within the game? HM: [laughs] There's a lot we're doing inside the game. YS: I believe we need to include some kind of retrospective of 1 and 2. I don't think it needs to be terribly long. Also, [within the game] you can phone characters from Shenmue 1 and Shenmue 2, and a flashback will play. This time you'll be starting in a village called Bailu village, where you'll meet various people, and recall things about your father and your friends... in other words, recalling things that happened at the time of the previous games. Our aim is to use a combination of techniques, which includes doing things like adding in content from the previous titles during game play. YS: Well, SEGA's IP belongs to them so... we're not really in a position to speak on that. 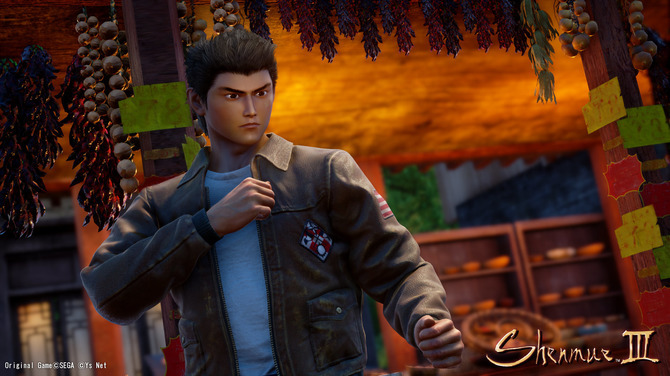 HM: For Shenmue 3, we have received the license from SEGA on the basis of creating a new game. 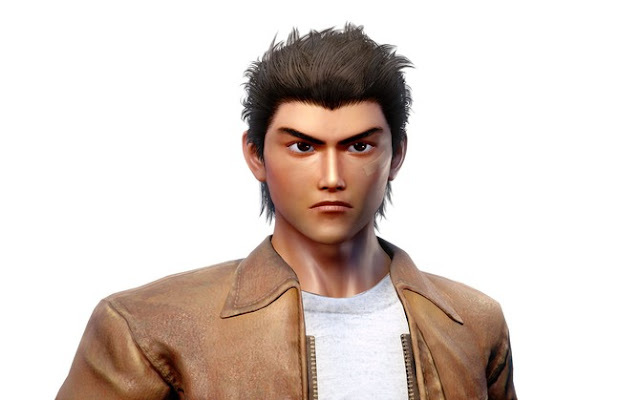 The license for Shenmue and Shenmue 2 belongs to SEGA, so a remake is something for them to decide. YS: If everyone tells SEGA, something might happen. HM: We're aware that there is quite an outcry for it. We would also welcome remakes. Q: Shenmue has influenced a large number of games, but conversely is there anything, such as games and so on, that has influenced Shenmue 3? YS: It would have to be the technology. We're using the UE4 engine now, so we have to use methods that make the most of it. HM: There's not really specific titles that have been an influence. 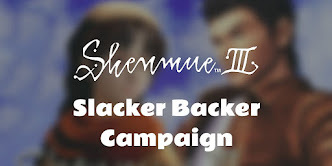 Q: Jumping back a little, will players who haven't yet played the previous games, be able to play Shenmue 3 without a problem? YS: I think we have to make the game so that they can. I'd like to have someone who has never played them to try it and listen to their feedback. I think we will need to fix up any parts that have strong drawbacks. YS: There's a huge uproar. HM: It was really planned for today [the first day of Gamescom]. Q: Many of the Game*Spark readers have also viewed it. Among the comments was a concern about the character modeling. YS: Shenhua, Ryo and the other characters are almost all provisional. HM: Most of the characters [that appear in it] are provisional, so in that sense there's a risk that we've caused a misunderstanding there. YS: We still have a lot of work to do on Shenhua. [While pointing at characters] Take this one, it's a character that's close to completion. This one's provisional. This is also provisional. This one too is provisional. Q: There were quite a number of characters pending modification present in the trailer, weren't there. HM: That's the case, yes. In a teaser you can't attach that kind of explanation to each and every character. YS: [Continuing to point at characters] This one's also provisional. Oh, so is this one. We do have characters that have been completed to a pretty high quality level. HM: But they weren't ready in time for this video. I think the showing of the teaser this time, even in a promotional sense, was a little premature of us. For an extremely long time, since the project was launched in 2015, we hadn't released a video publicly. Now, since a publishing contract with Deep Silver had been reached, we wanted to make an announcement that encompassed a sense of "The project development is moving forward under a new structure; please be reassured, everybody." Discussing among ourselves, there was a general agreement that such an announcement wouldn't work without images, and so our decision came about to release a video now. It might sound a bit like making excuses, but even though there were parts that have a long way to go and that we're not fully satisfied with, it was a case of "we can't release nothing, so let's go ahead and release it". Q: I see. So what are you trying communicate with the video? 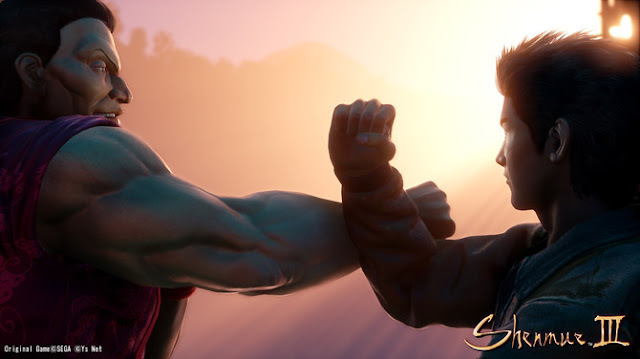 YS: It is merely a teaser, so: "We're making Shenmue 3. Please don't forget, OK?" HM: "Please rest assured that we are working hard on its creation". Q: Finally, do you have a message to all the fans who are waiting in anticipation for its release? YS: Having gained a wonderful partner in Deep Silver, Shenmue 3 is now being given a boost. Thanks as always to everyone for continuing to give us your support. HM: The meaning behind the video released yesterday is that we have formed an alliance with Deep Silver; the [project] structure has been robustly strengthened; and the project is making good progress. And so, from here on, the game will improve in leaps and bounds. Going forward I think there will be increased opportunities to show the game, so I hope you'll look forward to it. Hideaki Morishita (left) with Yu Suzuki (right). 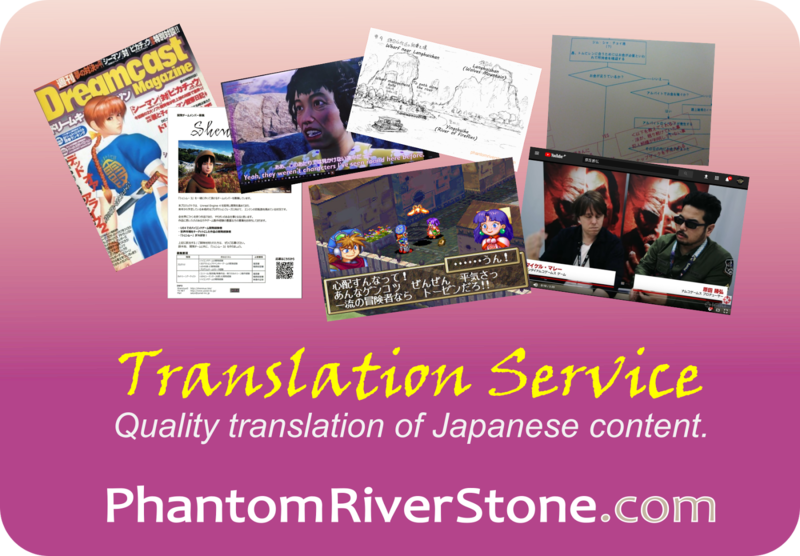 If quoting from this translation, please include a reference back to this page. Thank you. This is awesome information. Thank you! I agree Iyapol, interviews like this should help to calm any concerns with something that is very much work in progress. Another great interview translation. Thank you for keeping us updated Switch. Absolutely amazing switch, The sort of personal interviews with Yu Suzuki are most definitely the type of thing that needs to be broadcast to the general gaming public as this sort of honest and professional comments and feedback by the two really show they're not trying to hide anything. Great work !!! Thanks for the positive feedback! I agree, their answers are frank and give a good insight into the project status and plans. Thank you to everyone for taking the time to leave a comment! Thank you very much switch! ^^ Love your feed.. Keep going please!